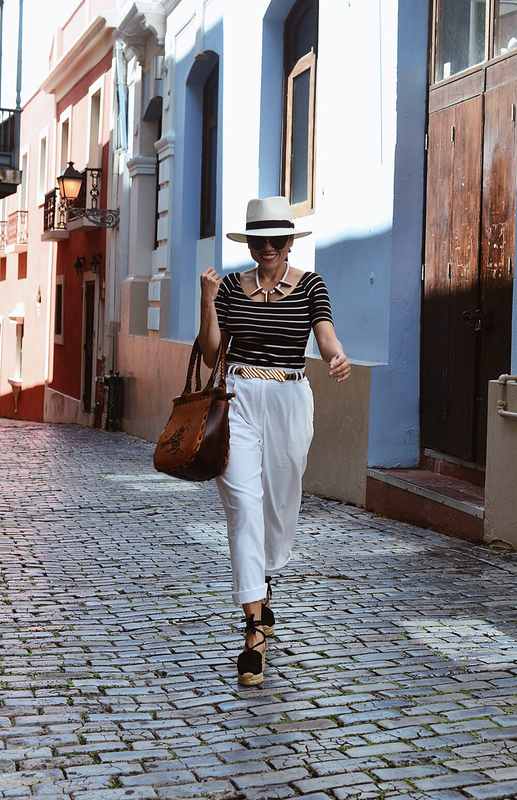 Well, my honeymoon diary continues and this time, I want to show you a couple of outfits that I wore while touring Old San Juan. My husband and I only checked one luggage for the both of us. 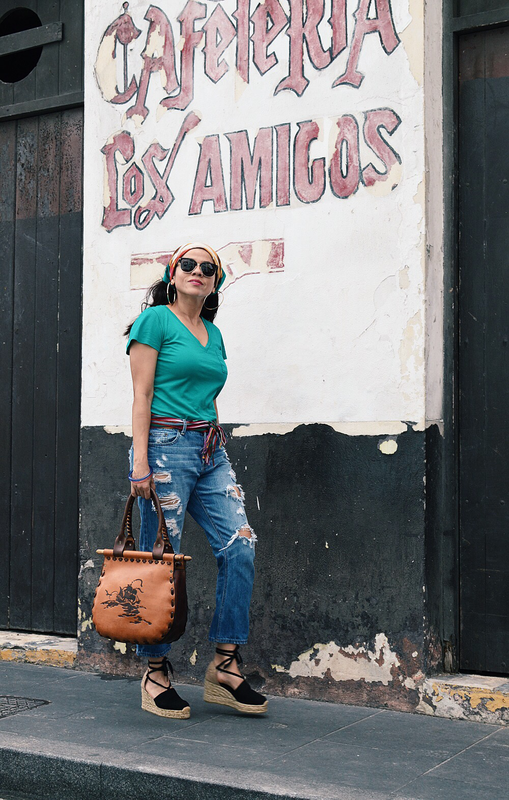 I wanted to travel light, so I only packed my luggage with three pairs of pants, a few t-shirts, one skirt, denim shorts, a rain poncho, one dress, two hats, my pajamas, hiking shoes, flat sandals, undergarments and my wedge espadrilles. 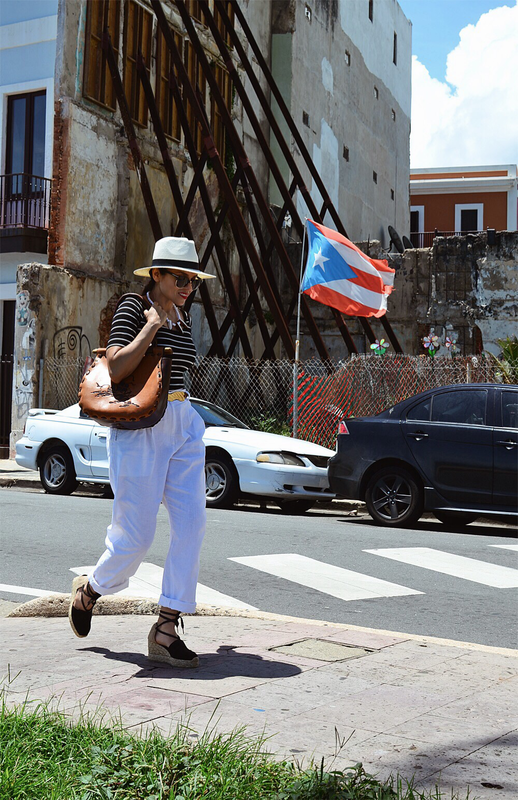 Yes, I only packed one dress and the reason why is because this was my first time traveling to Puerto Rico and I wasn't sure what to expect from their environment and weather, and I personally feel more protected and secure wearing my pants. The weather was on our side, because, despite the partially cloudy sky, we had more sunny days than rainy ones. The only time that we got caught in the rain, was the rain forest El Yunque, but that type of weather is pretty much expected in any rain forest. Besides exploring the countryside of Puerto Rico (caves and rainforest) we visited a couple of historic areas, restaurants,..., etc. 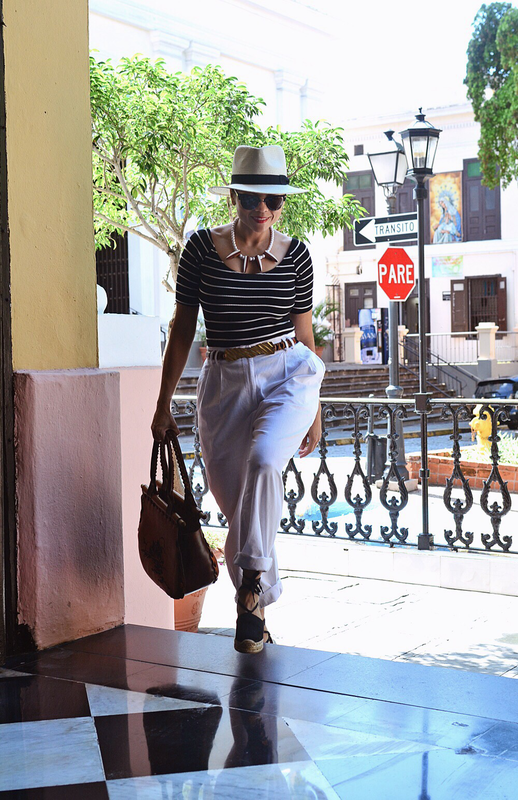 I wanted to dress comfortable, but at the same time, I wanted to be in tune with the ambiance of the city. 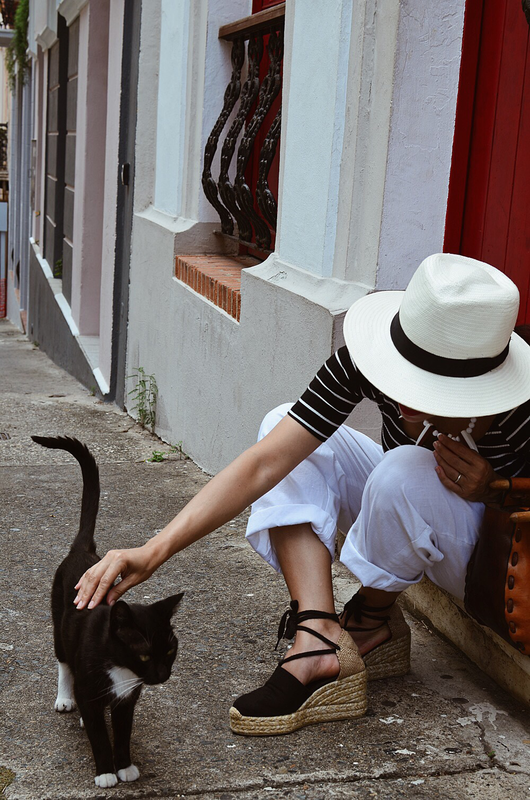 As soon as we arrived in Puerto Rico, I felt right at home, because its culture reminded me so much of my native country, Honduras. 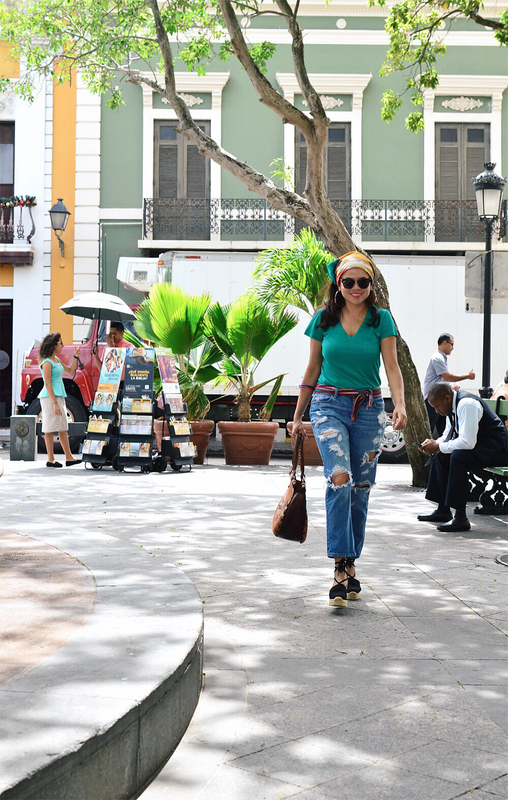 If you go to Old San Juan, you must try to visit as many plazas you can. They're all so unique and completely romantic. 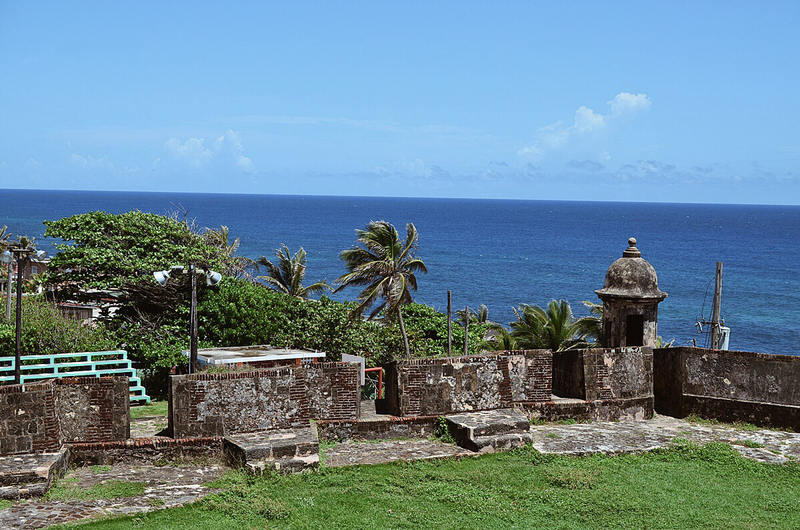 At night, you can see the couples romancing while listening to the sound of the coqui frogs or the ocean, if the plaza is near the water. 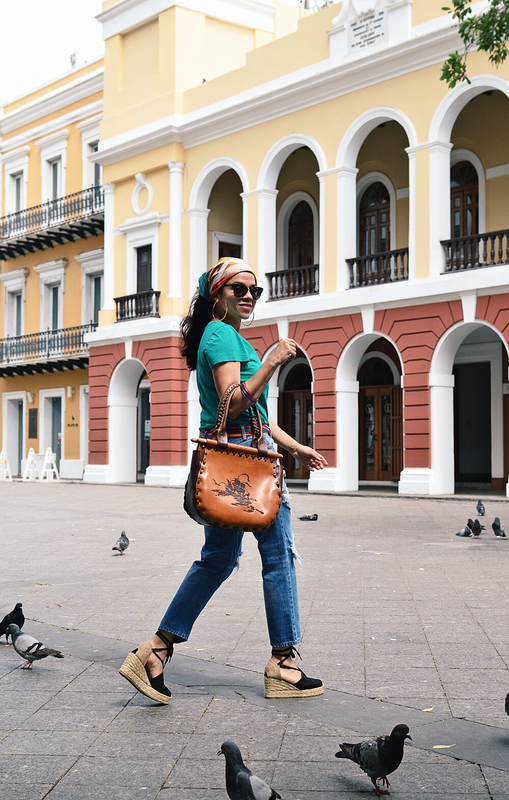 In the mornings, you can get your breakfast or coffee to go and join the locals in any plaza. 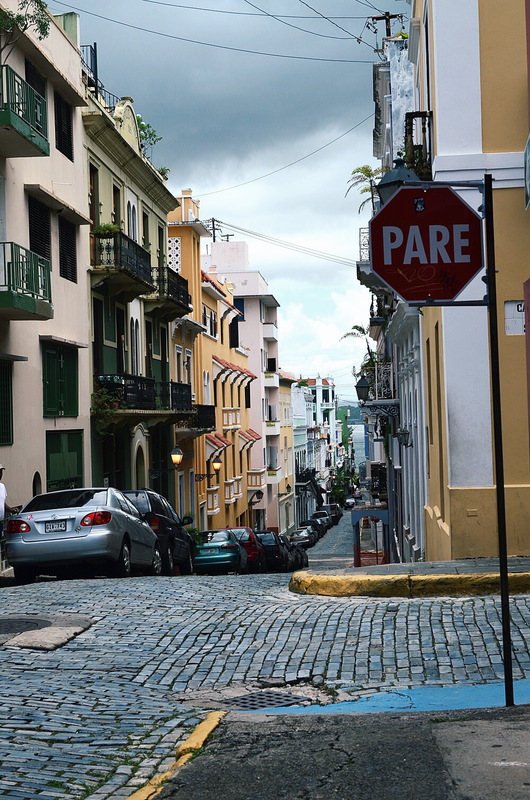 When planning our honeymoon to Old San Juan, we searched for "must go places" but the first thing we found, was actually what places "not to go". 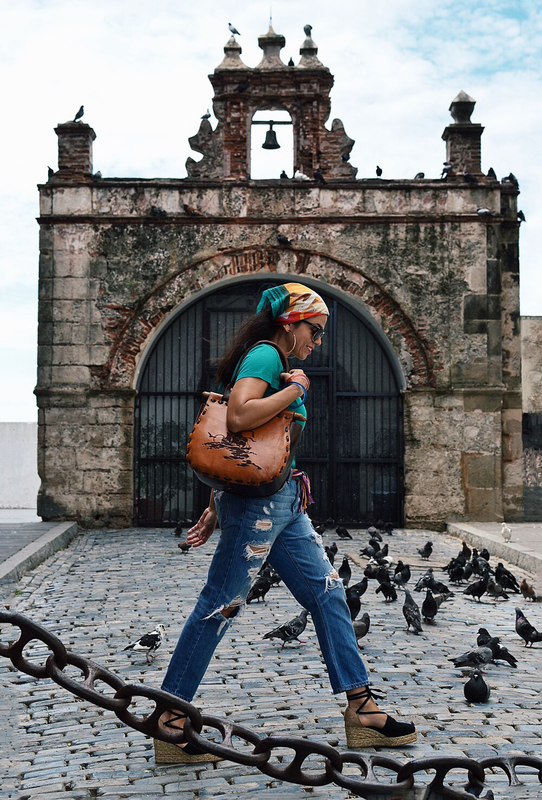 One of the places that they want discouraged you from visiting is "La Perla", which translates to "The Pearl". 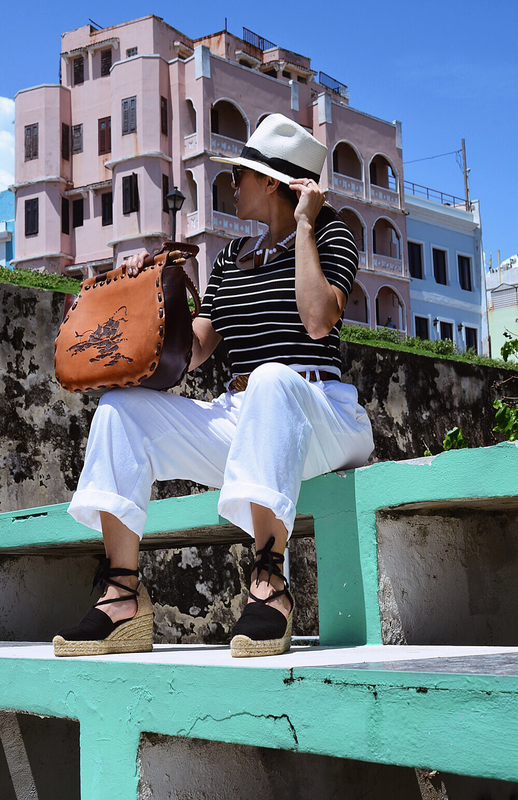 La Perla is a historic community established in the late 19th century and it's located astride the northern historic city wall of Old San Juan. The neighborhood these days has gained a reputation for being a site of drug trafficking, therefore dangerous. 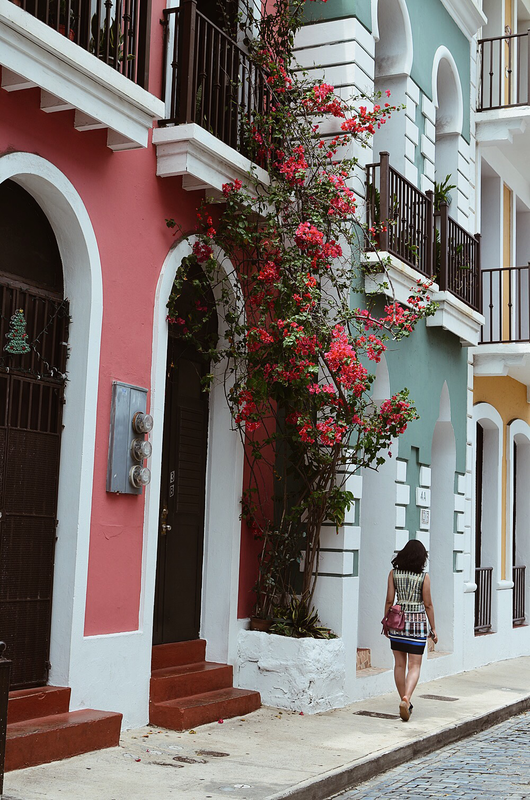 We couldn't find La Perla on our map, and it's because most city maps don't include this neighborhood in order to prevent tourists from visiting it. Brad and I felt very curious about that historical area and actually, that was one of the first places we visited in Puerto Rico; in the daytime, of course. 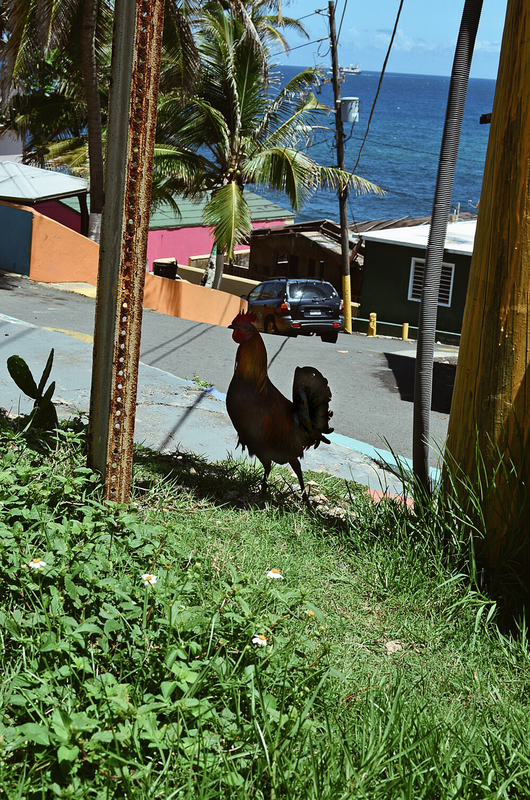 We actually enjoyed exploring La Perla because it's a very picturesque neighborhood with friendly residents. We found a couple bars with live salsa music and everyone was dancing like there was no tomorrow (My snapchat followers @careliamoran won't let me lie) Once again, I was feeling nostalgic about my happy culture; a culture that, despite everyday problems, they dance. 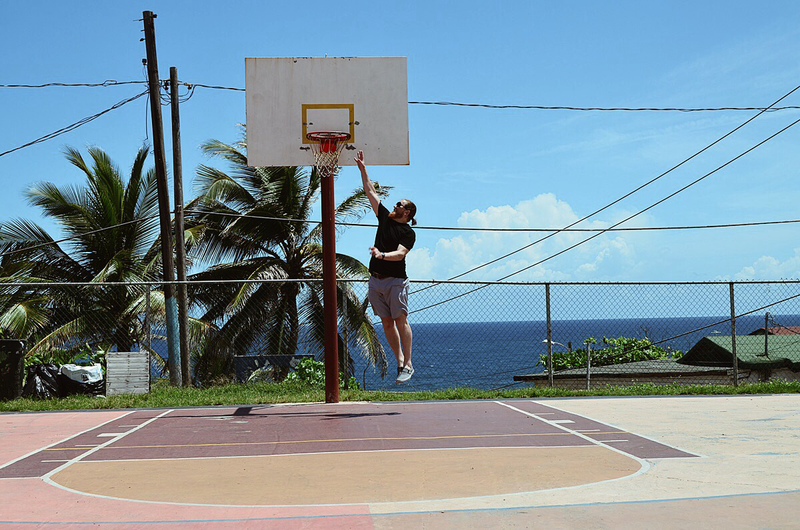 The first place my husband visited in La Perla, was their basketball court. They really have a sweet view from the court, I mean you don't need to be a basketball player to enjoy a view like that. I don't know much about playing hoops, but I sure enjoyed the view of the ocean from where I sat.